The Touchdown 16 oz. 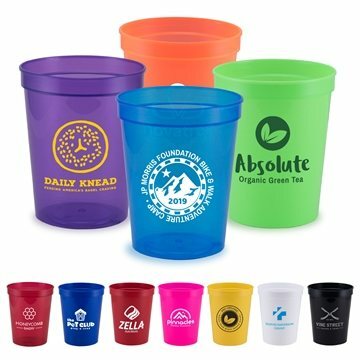 Stadium Cup is available in a variety of vibrant matte and translucent colors, and features a large imprint area for impactful, colorful branding on a budget. Stackable and lightweight, this cup travels well and can hold smaller giveaway items. Great for tradeshows and events. Made in USA from up to 30% recycled material.